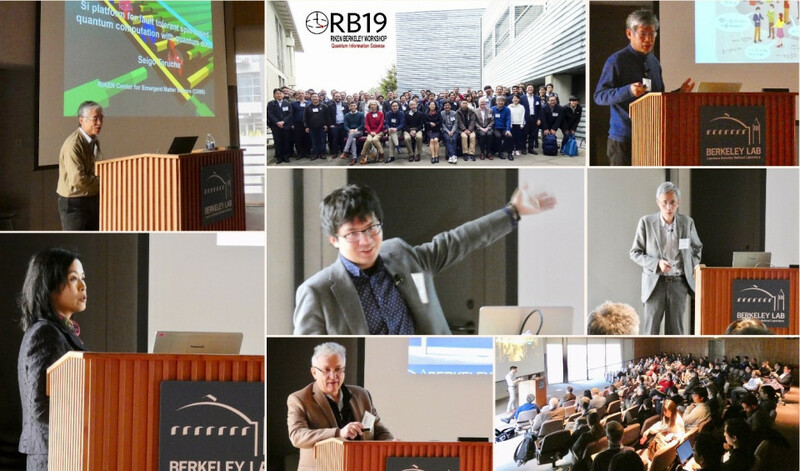 RIKEN-Berkeley workshop on Quantum Information Science was held at Lawrence Berkeley National Lab. (building 66) from Jan.26 through 29, 2019. The workshop was started with general introductions to LBNL, RIKEN, iTHEMS and Berkeley Quantum by Horst Simon, Motoko Kotani, Tetsuo Hatsuda and Jonathan Carter, respectively. Then we had stimulating talks and discussions on quantum computing, quantum materials and quantum sensing during the scientific sessions, followed by a panel discussion on the future collaborations between RIKEN and UCB/LBNL. We are going to explore further collaborations on the basis of the discussions of the workshop. The program and the presentation slides can be seen from the related links below. It should be remarked here that Jason Chang (iTHEMS Research Scientist) played essential roles to plan and organize the workshop, which is very much appreciated.